Technology is increasingly prevalent in schools but not necessarily used to best effect as a learning resource, as noted in an international context by the OECD in this 2015 report. 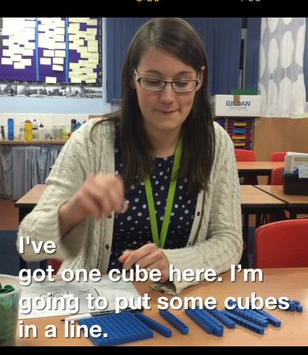 In this post, Rachel Walker from Sneinton C of E Primary School in Nottingham shares her experiences of using technology in a productive way. I have grown up in that generation for whom technology is a normal part of life. Using computers is, for me, second nature, even if I did have to submit GCSE coursework using a floppy disc! 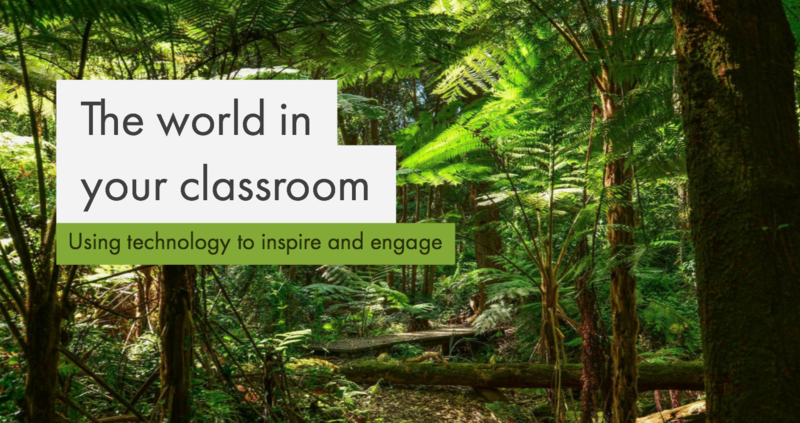 While I know that we as teachers are the best resource for students that money can buy, there are now so many technological tools which make the classroom into an even more exciting place to be. I have come to see that technology can be your greatest ally, making your life easier and your lessons more engaging, rich and exciting. It is vital that as teachers we get the balance right. While technology can be amazing, and will almost guarantee you instant engagement with your class, it can also, if we are not careful, be the world’s biggest distraction. I am sure we have all experienced the lesson where we visit the ICT suite with 30 excitable children, only to find twelve working computers, or decide to try out a new app, to be disappointed to discover that each child needs a separate email address in order to make it work. However, I am here to persuade you that not only is it worth the effort to persevere with it, but also that it is essential practice for a generation for whom technology is a ready-integrated part of life. Some of these issues are explored in this 2016 article from the Cambridge Primary Review. Pedagogically, we can even get a more accurate idea of what our children can and can’t do, allowing them to express their learning in new and creative ways. So what are some simple, reliable ways in, so we can really make the most of this incredible tool. 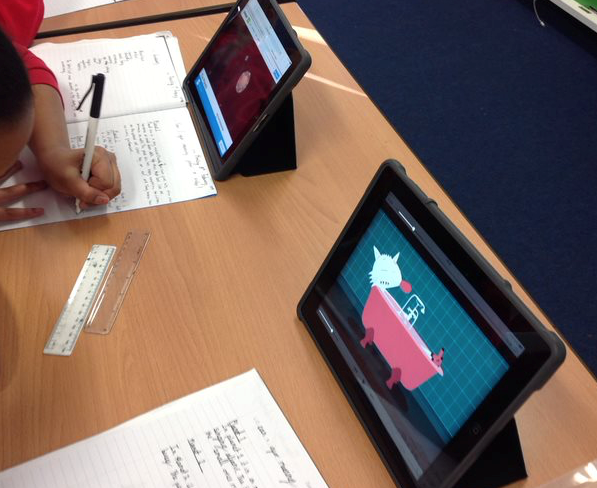 If you have tablets, even one between two, they can be an excellent tool for demonstrating learning. Go on a ‘noun hunt’ or a ‘shape hunt’, asking children to take pictures of what they find, which they can come back and share with one another. Download the app ‘DoInk’ and get a large piece of green display paper. The world is now your oyster! Put a picture of a weather report as the background and get younger children to describe the weather for their speaking and listening skills, take a photo of children running from a dinosaur to use as a writing stimulus, ask the children to write a poem about volcanoes and perform it in front of an actual volcano… so many possibilities! Put this together with iMovie and children can produce actual television programmes. There are loads of fun little apps which can just spice up ‘drier’ subjects like grammar. 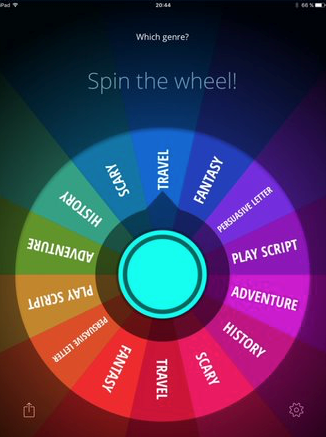 One that I love is called ‘Decide Now’ which is a simple spinner app which you can put onto your teacher iPad. I have lots of different spinners for different grammar topics, for example ‘choose the tense’. The spinner will then choose ‘past, present or future’, and then children have 5 minutes to write three sentences in that tense. Google Expeditions is simply amazing! If you’re not sure about it, you can actually book Google to come in and do a sample session for you, however it is really quite easy to use. You as the teacher sign up as a ‘Guide’ to an expedition, and the children come on board as ‘Explorers’ on their devices. You need to be connected to the same WiFi network. However, even if all the children don’t have their own devices, you can also just mirror your device to the board and take them on an adventure. I’ve used it in lots of contexts: we explored the rainforest, to find out what different habitats looked like, visited the pyramids of Egypt, and explored Antarctica when we needed exciting vocabulary for poems. Consider how children can share their work, with you and one another. There are now several platforms available which can act as a sort of ‘journal’ for you to collect in work. Seesaw is a fantastic tool, especially for younger children; children sign in by scanning a QR code within the app, you can record voice instructions for them to follow, and they can then ‘like’ and comment on one another’s work. I love this for peer evaluation and feedback. Showbie is also brilliant, where you can set assignments as well as having a class discussion. If you have iPads, AirDrop is a very simple way to collect in work. Ask children to save or screenshot what they have done (press the ‘home’ and top button at the same time) and then share it with you using Bluetooth via AirDrop. You can then select all the pictures at the same time and hit ‘print’: evidence for books! If you only have a teacher iPad, Plickers app is a brilliant tool for formative assessment. You just print a little card for each child (available on the web version of the app) and set a multiple choice question. They then hold the card whichever way up they think (each side is labelled with a letter) and you scan the room. It then tells you exactly who has got the question right and wrong. Kahoot is essentially an advanced version of this, and acts like a game show. Each child needs their own device for this, but you set up a set of questions and then children log in using a simple 6-digit code and write their name, and then away you go! The great thing about this is that it gives you a breakdown of who got each question right. Bear in mind it gets very exciting and very noisy… what better way to do an end of unit assessment? If you have tablets which have a video camera (most do), then you’ll be able to get the children recording videos of themselves. I do this most often at the end of a maths topic, where the hook will be something like, ‘The year 3s have no idea what division actually means! Can you record a video to help them to understand it?’ You could then have a competition for the best explanation, where only the best three get shown. Such a brilliant engagement tool! Another great app, especially if you are used to asking children to use tablets as a research tool using the internet, is PicCollage. It’s often used to collate pictures of school events or practical lessons, but it’s brilliant for the children to use, for example flow charts. I’ve used it to ask children to record the journey of food from grower to supermarket, as they can they make it look brilliant but also instantly add pictures from the internet – but it’s very tricky to copy and paste, so they have to do the hard work! I know so many teachers who love visualisers – they are such a great way of showing what children can do, as well as modelling without having to amplify using a whiteboard. With the correct software, you can use an iPad or tablet as a visualiser. AirServer costs around £10 per device, and you can then load it on your laptop and mirror your iPad to it. If the children are using iPads too, you can ask them to put theirs on the screen instantly as well. I now love buying Kindle versions of our class books and mirroring to the screen while reading, meaning children can read along. They now complain if I don’t display it on the screen! Flipped learning is a whole other blog in and of itself, however the concept can be really simple. Share a video of yourself teaching something (our Year 2 teacher did a simple handwriting exercise to try it out) with the class and then let them watch it and complete the task. They can watch it as many times as they like. You then don’t need to repeat yourself, and can target support as and when it’s needed. I use Apple Clips app to add subtitles as well so that children can pause the video and read it too. Headphones work a treat but if you don’t have them, children can share tablets and have it quietly and it still works. So technology really can open doors for our students and not just for researching online. Be brave, try things out, and see where it takes you. What are your experiences of bringing learning to life with technology?